This walk will be of special interest to our North American visitors, many of whom will have heard that the Pilgrims left England for the New World from Plymouth, further along the south coast. 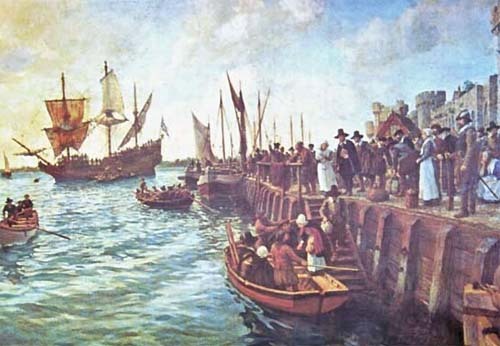 However, along with several other fascinating facts, participants will discover the fact that the actual final intended port of departure was Southampton. Our Southampton Tourist Guides Association guide will describe the circumstances that led to the Pilgrims (and others who sailed on the “Mayflower” and, initially the "Speedwell") to decide on Southampton as their departure point and their likely experiences during the 10 to 15 days spent among 1620s townsfolk. Large sections of the town and many medieval buildings that the Pilgrims would have become familiar with, still remain and these are explored, in terms of their (then) likely usage and appearance.